The stand-off between negotiators and an armed man continues, police have said. 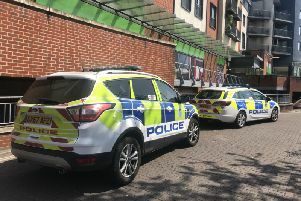 A statement from Sussex Police said: “Emergency services remain outside a house in Harbour Road, Pagham this morning (29 August) as trained police negotiators continue communication with a lone 72-year-old man who is still believed to have a gun. “Police were called to the property at around 4.10pm on Sunday (28 August) to a report of threatening behaviour. “A woman known to the man was also in the house, but she left shortly after police arrival and is safe and well. “The 72-year-old man remains in the property alone. Detective Superintendent Nick Sloan said: “The safety of the local community is our utmost priority. “Local residents in Harbour Road have been advised to stay inside, but should they wish to or need to leave their properties, we will be able to facilitate this with police support.